Elizabeth Parrish is taking a drastic step in wellness by using herself as a guinea pig in an anti-ageing gene therapy trial. Not for aesthetic purposes, but to prevent biological ageing. The 47-year-old from Seattle, USA, has injected herself with a solution that's believed to repair telomeres – the caps at ends of chromosomes which prevent cells from ageing or malfunctioning. 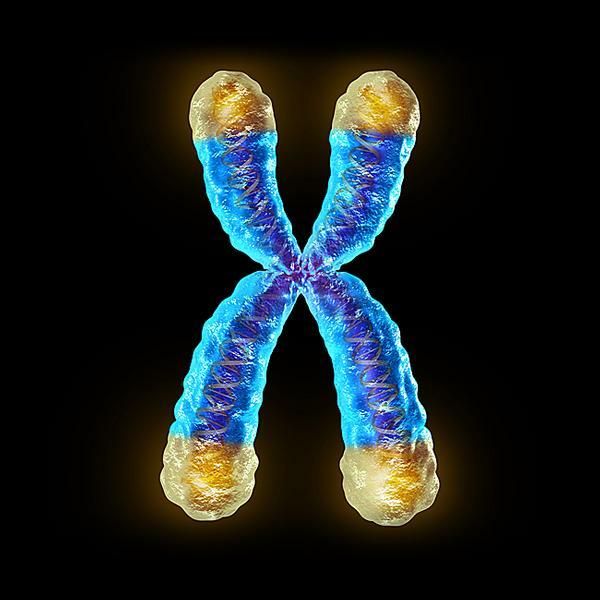 She explains: "Telomeres shorten as we age. Shortened telomeres lead to senescent cells and destabilise our DNA which leads to inflammation and cancer." What makes her move particularly controversial is that such an experiment had only been tested on mice until she started her trial in 2015. So what results has she seen so far? She says: "We've discovered that the telomeres in my white blood cells have lengthened by over 600 base pairs, which would be the equivalent to a reversal of around 20 years of telomere ageing." Parrish also reports a reduction in inflammation markers and improved metabolic markers. "I feel fantastic, but how much of this is a placebo effect we don't know for sure at this point… importantly we've seen no negative effects so far." Her son's diagnosis as a diabetic in 2013 drove Parrish to make such an unprecedented move. "Ageing is the master disease at the foundation of other conditions associated with ageing like Parkinsons etc and this is because ageing = cellular degradation due to time. Time is the enemy that has to be dealt with at a molecular level and therefore at a cellular level." On the back of her experiment, she set up BioViva to research more therapies to delay, prevent and reverse the processes behind biological ageing. Its exclusive partner Integrated Health Systems has a network of clinics in South America, plus doctors in the USA, UK and India, to administer the therapies, which reportedly cost hundreds of thousands of dollars. Patients so far include those with dementia, sarcopenia, cancer, heart disease and kidney disease. Parrish also sees potential in the spa sector. "The spa and wellness industry has done an excellent job in changing environmental factors that affect wellbeing and also offers excellent treatments for extrinsic skin repair. But it needs to learn about the latest Nobel Prize-winning medical technologies. Gene therapy is natural and precise. It uses the bodies own genes to manufacture beneficial proteins and compounds that heal and rejuvenate from inside out." While some might – and do – question Parrish's approach, she's confident that using herself as the first test subject was the right thing to do. She concludes: "I believed the company should take its own medicine first before moving onto patients. Many scientists in the past have made great discoveries through self-experimentation."